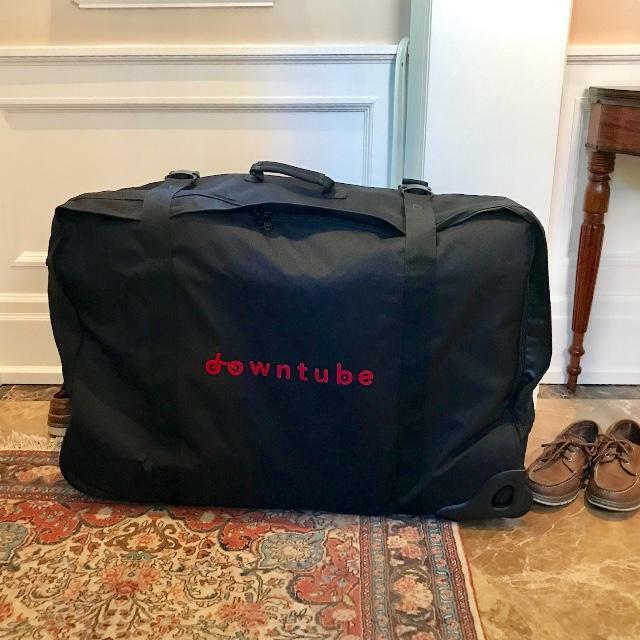 This is a very well-designed and constructed storage and shipping bag for Downtube folding bikes. I am very fussy, we got two of them, and they are perfect. Heavy-duty construction, nicely padded but not bulky, excellent and sturdy zippers and fasteners, well located handles, wheels at one end and plastic skid plates on the bottom. Perfect design, perfect construction, and a decent price. How often do you use the Suitcase? Where do you ride your bikes?